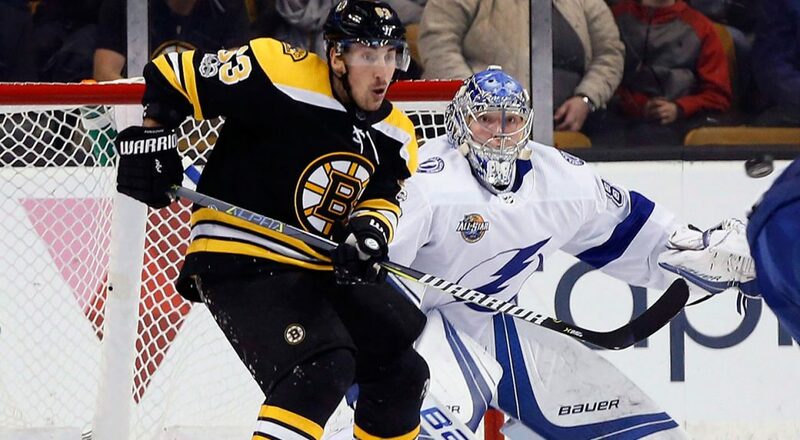 The Boston Bruins just could not overcome their terrible start in game 3 despite tying the game. Many issues involving turnovers and break out passes continue to be a problem for the Bruins in this series. Will these areas improve as we get ready for game 3? A full 60-minute effort will be what the Bruins need to get back the series lead tonight and being back on home ice may just be what the team needs to establish some pressure early in this one. Boston needs more out of their depth players if you do not count Danton Heinen goal in game 7 against Toronto because Rick Nash and David Krejci were on the ice the third line has zero even-strength goals in these playoffs. This isn’t good enough we saw the Tampa Bay Lightning 2nd line come through for them in game 2 this should be a good time for the Bruins depth players to make an appearance. The officiating will need to be better we do not like to talk about the referees, but after last game, we need to address it. The only thing fans want from both organizations is consistency, and we have not gotten it so far in every game of the Stanley Cup Playoffs. Look for the Bruins to come out with a better effort tonight as they try and get a win for the Garden faithful. Riley Nash: Since his brief appearance on the top-line against Toronto Riley has been invisible in these playoffs. After a terrific regular season, he should be producing more no question, but Riley is recently coming back from a concussion. One has to expect if Riley’s struggles continue would head coach Bruce Cassidy consider scratching Riley Nash like he has done with Tim Schaller tonight? Everyone talks about Ryan Donato and it might not be out of the question if Nash does not pick it up soon. David Backes: Boston was pushed around last game as it seemed like every shift someone of the team was getting destroyed out there. Look for David to come out like a beast in front of the home crowd, got to get the feeling that Backes isn’t too happy about seeing his teammates being thrown around like that. If it takes a fight or a big hit to get the team going expect Backes to do what it takes tonight as it is a pivotal game in this series. The Bruins third line will need to have their best game of the playoffs, and with the home crowd with them, it wouldn’t be a surprise to see them excel in tonight’s game. Steven Stamkos: After being a passenger in the first two games of the series it is time for the captain to have his break out game tonight if his team expects to pick up wins in Boston. Stamkos has been struggling since March as it is likely that he is dealing with an injury which would not be surprising. He needs to return to his bread and butter which is his power play one-timer. Getting away from Zdeno Chara and Charlie McAvoy will be crucial for his production. Ryan Callahan: Talk about turning back the clock. The former New York Rangers captain was terrific last game he was a massive physical presence and his 5 on 3 penalty kill shift was some of the best penalty-killing we have seen in recent memories. This Tampa Bay fourth line has been giving the Bruins troubles thus far, and it is critical for Bruce Cassidy and his staff to find an answer for them if they expect to win the physical battles.